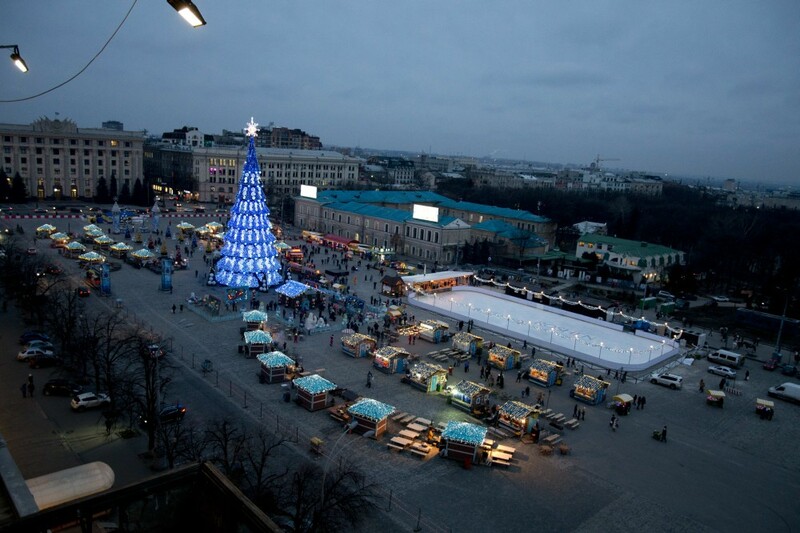 In the main square of Kharkiv will be possible to skate again. The giant ice arena will be mounted on this weekends. As last year the ice rink on the square was very popular, it was decided to continue the tradition this winter. Before Kharkivens and guests had the opportunity to skate near the Christmas tree in winter 2010. According to the administrator of the New Year’s town Anastasia Kamyanskaya, this year won’t be without surprises: the ice arena in Kharkiv will be the largest in Ukraine – its size will be 58 by 36 meters. Moreover, skating with your own skates will be free. For those who do not have skates there will also work rental center. The cost is promised to be nominal – around 10 hryvnias per session. “We managed to make such a gift for Kharkivens thanks to the sponsors,” explained Anastasia Kamyanskaya. The working hours of the rink will be announced later. 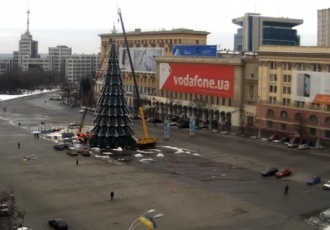 The Christmas tree is already fixed in the Freedom Square, and from December 19 there will be a traditional fair with winter activities, refreshments, hot and strong drinks. The guests will have opportunity to taste restaurant meals but at affordable prices. The formal opening of the Christmas tree is scheduled for December 26.